The show where picking the wrong answers from the answer board could lead to a wipeout. 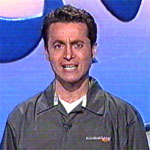 This modern version of Wipeout follows a similiar format to that of the American version of the late 1980's. Three contestants select answers from the board which they believe match the clue given. Every correct answer adds points to their score. 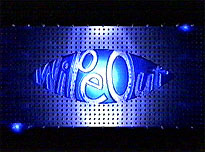 However - an incorrect answer results in a "wipeout" which wipes the player's entire score. In the third round - the "bid for the grid" round - the two players plays a best-of-3 round of puzzle boards, where for each game - each player must determine how many of the correct answers they can determine from the game board. The highest bidder gets to play, and must provide that many correct answers to win that game. If they come up with an incorrect answer - the opposing player need only find a single correct answer to take the points. The first player to take out 2 games goes on to the final round. The fourth round is the bonus round - where the player must select a category (from two given) to play. The object is to find the 6 correct answers on the board of 12 within 60 seconds. The player selects the squares on the board and then runs to the buzzer located near the display to check their performance. All six answers - MAJOR PRIZE! This is, in my opinion, the best kids game show format of recent times here in Oz - great set, great host and decent prizes (and may I say the US grown-up version from yesteryear isn't half bad either!). Created by Chris Powney, 2003.